History of Tango – Part 9: Eduardo Arolas. 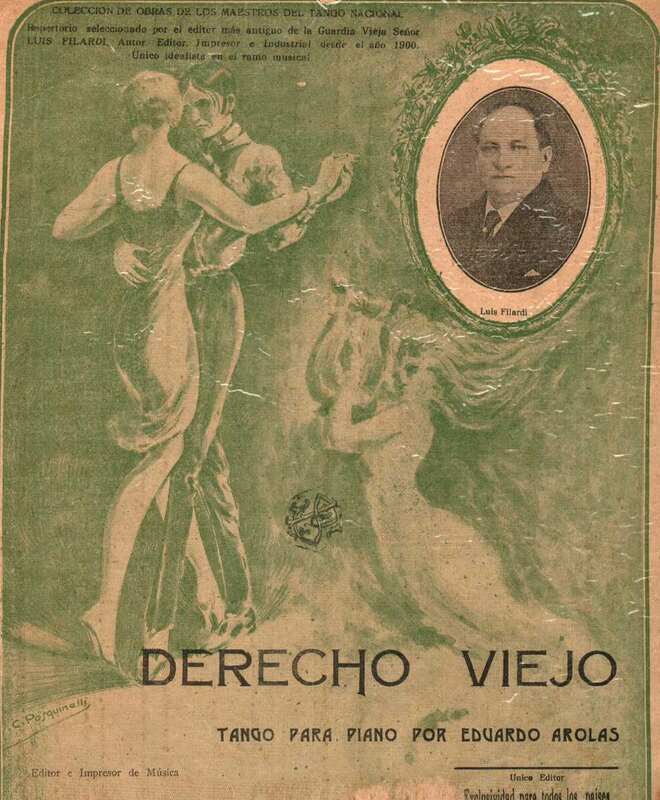 The evolution of Tango music. 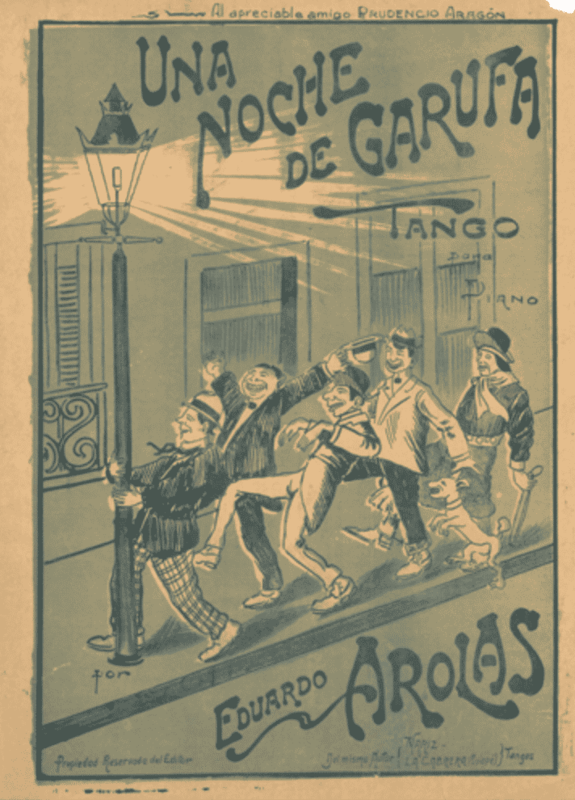 In 1909, when Eduardo Arolas composed “Una noche de garufa”, he had not yet acquired a formalized musical education. He was 17 years old. Still, in his first composition, all the elements of his style are present, bursting out into the world, for the amusement of all of those who, like me, love Tango. This quality cannot be attributed to any other Tango composer. None of his colleagues had a defined style during their first compositions, and would need many years to develop it. Arolas’ works have such advanced characteristics, that they will keep forever surprising Tango lovers wondering how, what inspiration, and from which source Arolas extracted them. He was born on February 24, 1892, in the nascent industrial neighborhood of Barracas, on the southern edge of Buenos Aires, where he grew up playing among workshops, construction sites, warehouses, deposits, workers, cart drivers, cuarteadores, payadores and herdsmen. At 6 years old, he started learning to play the guitar from his brother José Enrique. Until 1906 he played this instrument with friends in informal settings, and eventually began playing gigs at Cafés and Dancings of his neighborhood. Arolas was regarded as skillful and versatile player. He accompanied Ricardo González “Muchila”, who played the bandoneon. The sound of this instrument exerted a strong attraction on Arolas. He acquired a small one with 32 notes and began learning from Muchila. After selling merchandise on the streets for many years, his parents opened a wholesale store and bar in front of the train station. Arolas, known as “el Pibe Eduardo”, and his brother played Waldteufeld waltzes to entertain the clientele, which were very in vogue at the time. 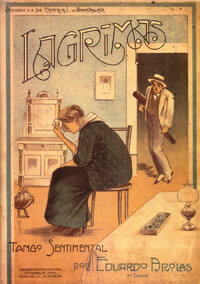 After finishing third grade, he quit school and began working different jobs to help his family: busboy, delivery boy, apprentice at a paint workshop, manufacturing commercial signs, illustrator, decorator and cartoonist, which became another of his passions, as seen in the drawings and artwork covers of his own published music compositions and for some colleagues. On the record sheet of his neighborhood police station, he appeared classified as “compadrito”. In 1909 he played a 42-tone bandoneon, accompanied by Graciano De Leone in guitar. That same year he went to present his first composition to Francisco Canaro. In 1910 he played with Tito Roccatagliatta, the most important violin player of that era, and with Leopoldo Thomson, who established the double bass in the orquestas típicas, and Prudencio Aragón, pianist and composer, author of “Siete palabras”. In 1911, at 19 years old, he played in Montevideo for the first time, which became his home when, broken-hearted, he exiled himself voluntarily from Buenos Aires. At this gig, Arolas played a bandoneon of standard 71 buttons. Upon his return from this trip, he started formal musical studies, with José Bombig, conductor of the National Penitentiary band, who had a conservatory on Avenue Almirante Brown, in La Boca neighborhood. During those three years at the conservatory, he made an extensive and very profitable tour of the province’s brothels, with violinists Ernesto Zambonini and Rafael Tuegols. While on this tour he met Delia López “La Chiquita”, and started a relationship that became a source of great inspiration for him as well as the likely trigger of the unfortunate choices that accelerated his demise. 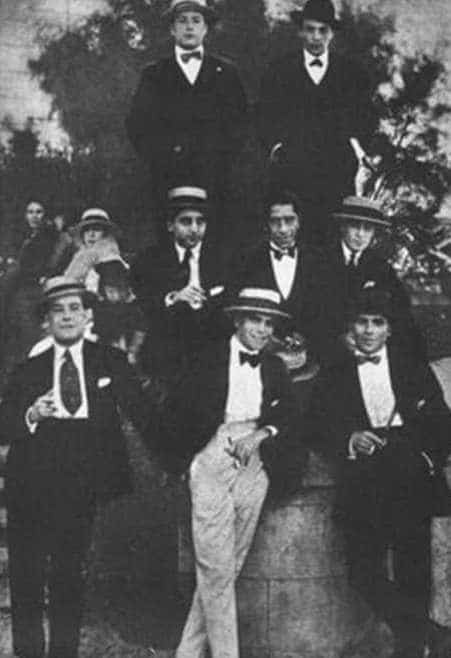 Back in Buenos Aires, he worked mostly in his own neighborhood of Barracas, in various venues, including his own, “Una noche de garufa”, that he opened with his friend, the industrialist, Luis Bettinelli. His first composition, published in 1912, was an immediate great success. Other compositions of remarkable inspiration followed, although they are not as well known today as they should be: “Nariz”, dedicated to his “amiguita” Delia López; “Rey de los bordoneos”, dedicated to his musicians; “Maturango”; “Chúmbale” and the vals “Notas de corazón”, dedicated to his mother. In 1910 the first recordings of an orchestra with the bandoneon were released, directed by Vicente Greco, by Columbia Records. The great acceptance by audiences of these recordings propitiated the appearance of numerous recording labels competing for the market. 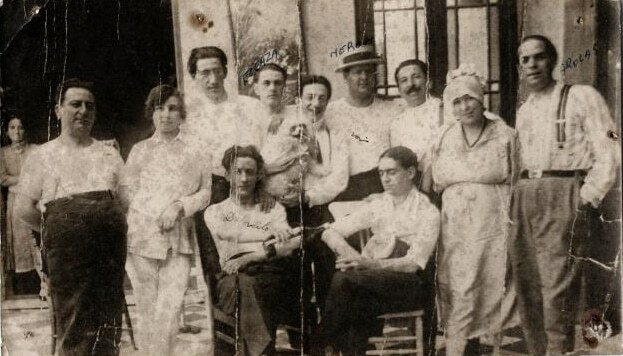 Arolas started recording in 1912 for Poli-phon, with Tito Roccatagliatta on violin, Vicente Pecci on flute, and Emilio Fernández on guitar. During 1912 he started playing downtown Buenos Aires. 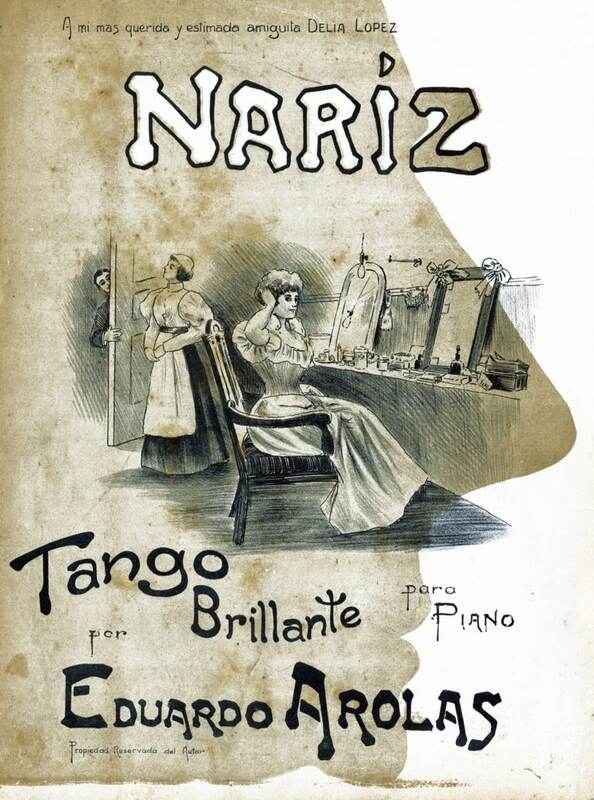 In 1913 Arolas included the great pianist and composer José Martínez, author of “El cencerro”, “La torcacita”, “Pablo, “Punto y coma”, “Canaro”, among many great tangos, to play at the cabaret Royal Pigall, on Corrientes Street 825. 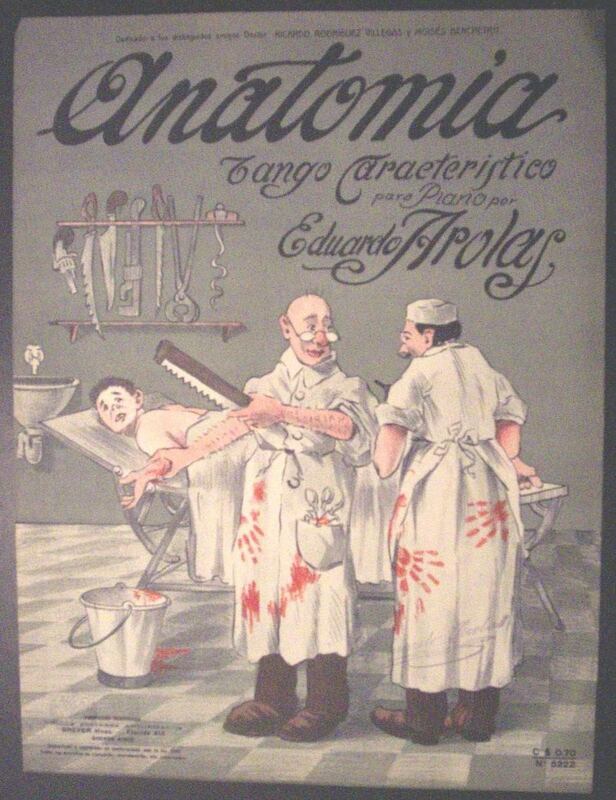 This same year, Roberto Firpo called Arolas and Roccatagliatta to play with him at the famous cabaret Armenonville. Later, Arolas distanced himself from Firpo and had a sign at his presentations that clarified “We don’t play Firpo’s compositions”. But “Fuegos artificiales” became a great outcome from this encounter. Firpo still went on to record many of Arolas’ tangos. After taking distance from Firpo, in 1914, Afro-American Harold Philips played the piano with Arolas. In 1915, Arolas played together with Agustin Bardi on piano and Roccatagliatta on violin. 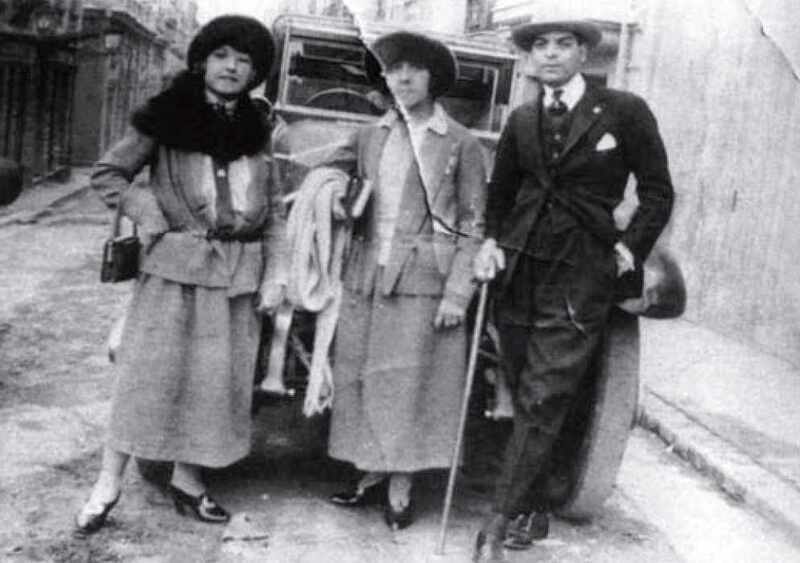 In 1916, he formed a trio with Roccatagliatta on violin and Juan Carlos Cobián on piano, at the cabarets Montmartre, L’Abbaye and Fritz, all located downtown. Their trio sometimes expanded to a quartet to include a violoncello. They also made a tour in the province of Córdoba. 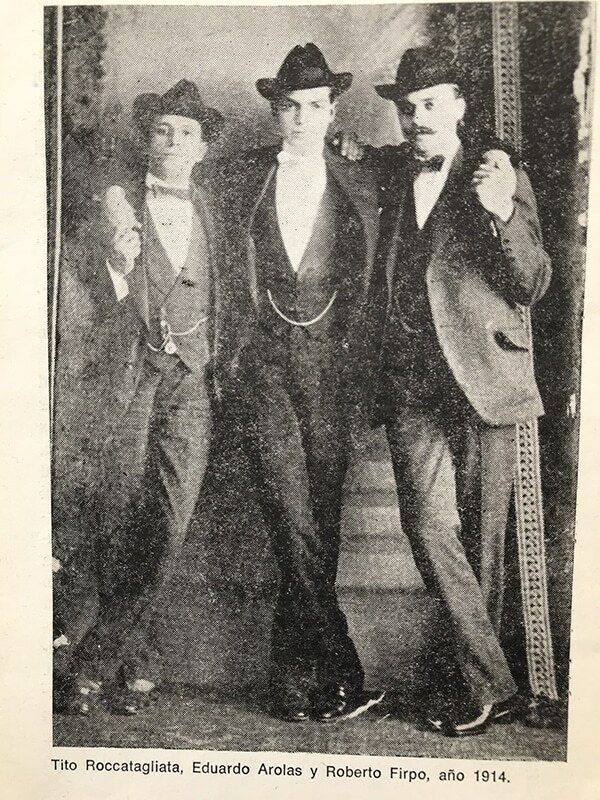 Back in Buenos Aires, the trio was hired to play at parties and dancings of the Buenos Aires’ upper class mansions, embassies and select clubs. At these kinds of gigs, any interaction between musicians and guests were not tolerated, a rule that Arolas never accepted, which resulted in his replacement by Osvaldo Fresedo. Between 1913 and 1916, his musical composition and production showed evident improvement due to his musical studies, and the achieved experience of his profession. He consolidated his fame, taking his orchestra to the level of the most prominent ones, leaving the neighborhood cafés, playing on Corrientes Street and at the luxurious places of Palermo neighborhood, in the interior of Argentina, and in Montevideo. Specifically regarding the song “Araca”, there is only one magnificent rendition recorded by “Cuarteto Victor de la Guardia Vieja” in 1936, with Francisco Pracánico on piano, Ciriaco Ortiz on bandoneon, and Cayetano Puglisi and Antonio Rossi on violins. and “Taquito”, recorded only by Arolas. In 1917, he formed a quintet with Juan Luis Marini on piano, Rafael Tuegols and Atilio Lombardo on violins, and Alberto Paredes on violoncello, and recorded for Victor with an advantageous contract. Unusual for the time, he included the voice of Francisco Nicolás Blanco “Pancho Cueva”, on two recordings, only matched by the contemporary recording of Gardel-Razzano with Firpo at “El moro”. 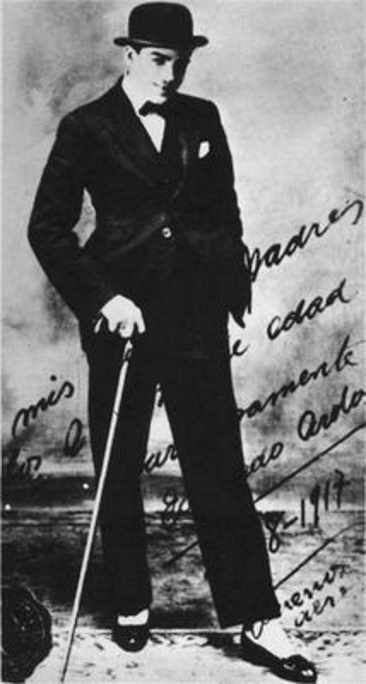 Bianco, who later also recorded with Firpo, was a famous payador, who used the lunfardo jargon in his performances, and was the brother of Eduardo Bianco, the great conductor who played tangos in Europe. In 1918 his orchestra was formed with him on first bandoneon and conductor, Manuel Pizzarro on second bandoneon, Rafael Tuegols on first violin, Horacio Gomila on second violin, Roberto Goyeneche on piano and Luis Bernstein on double bass. This was the peak of his career, playing in both Buenos Aires and Montevideo. Soon, Julio De Caro joined his orchestra. Here we are able to appreciate an authentic rhythmic dynamite, his peculiar way of playing with the melody, and its manifested advanced compositional techniques, using already the same “canyengueadas” that we hear in the arrangements of Osvaldo Pugliese and Astor Piazzolla many decades later. The productivity of Arolas is astounding. His fabulous inspiration keeps on giving: “Cosa papa”, which was only recorded by him on his last recording, in line with his best authorial achievements. “Rocca”, dedicated to his great friend, the landowner and keeper of Argentine traditions, Santiago H. Rocca, in which music sheet edition we can see a portrait of the homaged, beautified by a fine drawing from Arolas. In 1919 he was hired to play at the Montevideo’s Carnaval celebrations, at the head of a big orchestra. Back in Buenos Aires, he engaged in a tour through the province with a trio in which Julio De Caro played the violin. Then he played at Maxim’s and Tabarín cabarets downtown. From this moment on, there were only a few more occasions in which Arolas played in Argentina. His moral and physical collapse had begun. He moved his home permanently to Montevideo, and formed an orchestra in which Edgardo Donato played. It had become one of the classics of the genre, of permanent presence in the repertoire of orchestras of all times. In 1922, he took a second trip to Europe, with work in mind, but he didn’t receive help from the community of tango musicians living there. On his own, he got advantageous contracts to play in Paris and Madrid. During his last three years of life, he resided in Europe, and we only know about the composition “Place Pigalle”, which he registered in France. He died of tuberculosis on September 29, 1924 at a hospital in Paris. He was 32 years old at the time of his death. In 15 years as a composer, he wrote 120 titles, of which only about 20 are widely known. During Arolas’ time, Tango music was much simpler than it is today. As a musician, he gave the strength of his emotion to his performances, breaking his instrument on many occasions, leaving it like an umbrella inverted by a strong wind. He was a refined instrumentalist, devising ways of phrasing and harmonies unknown at the time. 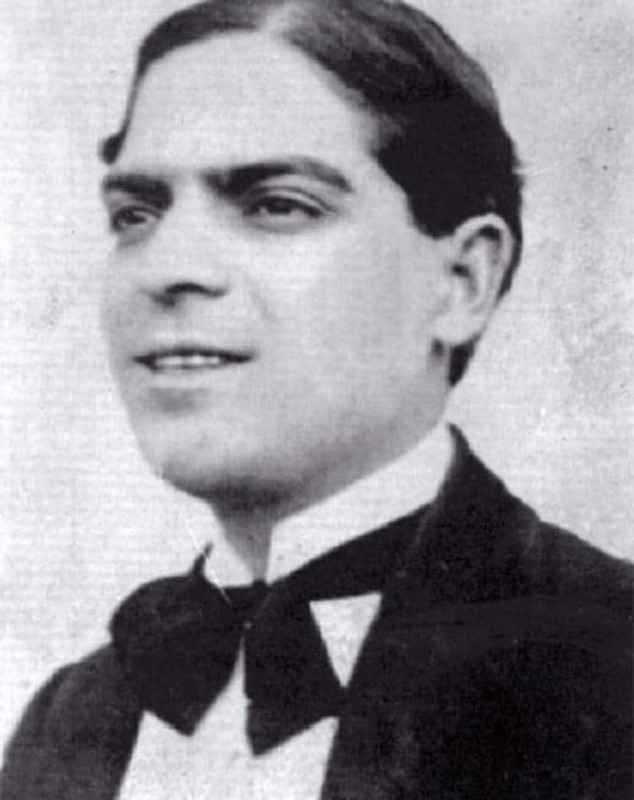 He created the octave phrasing, the passages harmonized in thirds played with both hands, the “rezongos” played with the bass notes (a particular effect that makes the bandoneon sound like grumbling), and with Juan Maglio Pacho, perfected the bandoneon legato technique, all elements which became essential to Tango. 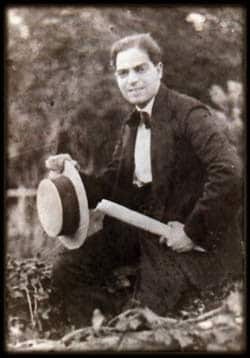 His musical language, as composer and as player, was purely Tango, a language that the people of the neighborhoods of Rio de la Plata understand, a language that flows effortless like spring water. His performance was vibrantly brilliant, simple, without variations, very nuanced and colorful. Arolas opened a wide gap with his orchestra through which the advent of the most evolved forms of the instrumental performance of tango could be glimpsed. As a composer he took Tango to a more elaborate level with the force of his originality. According to Osvaldo Pugliese, together with Agustín Bardi (in our next article), is one of the pillars of Tango. His work consists of compositions all of superlative beauty, of outstanding inventiveness, and emotive depth. 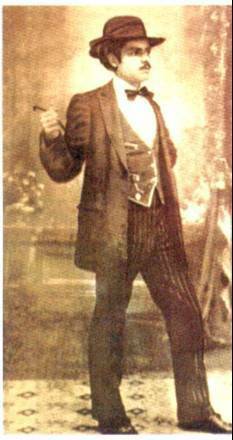 From his beginnings he enlisted the trend of “Tango Criollista”, emotionally located at the edge between the city and the countryside (“La guitarrita”), but gradually he started acquiring Porteño accents, at the time that the emotional charge of his melodies increased, losing the stillness of the country and the acidic smell of the grass to share an urbanized tragic pain. They give the sensation that they were written to be interpreted by future orchestras. His works waited patiently through the instrumental evolution of the genre and the capacitation of the musicians of the Golden Era to extract from them all its latent beauty. In addition to the inspiring music he shared with the world, he was also very good looking, had great charisma, and was always very well dressed. He loved all the pleasures in life, and as he refined his taste as he grew artistically, he became more knowledgeable about his profession began playing in places of better quality.